Marguerite-Marie Dubois was born in Limoges, France, and educated at the École de l'Abbaye (aka Le Cours Desir). She passed her baccalauréat in 1930 at the age of 15. She studied English at the Collège de France and the Sorbonne in Paris, where she graduated with a BA in English in 1937 and a PhD in 1943. After studying French literature and theology at the Catholic Institute, she became a lecturer in philology at the Sorbonne. She became a professor of medieval English language literature and civilization at five graduate schools in the Sorbonne system: Rue d'Ulm, Sèvres, Saint-Cloud, Fontenay-aux-Roses, and the École normale supérieure Paris-Saclay. 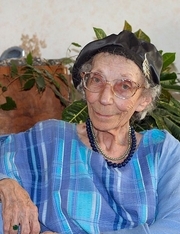 She became the first female teacher at the Institute of English at the Sorbonne (which became Paris IV-Sorbonne in 1969), where she spent her entire career. She also became an eminent philologist, grammarian and lexicographer, and the author of many authoritative books, including La Littérature Anglaise du Moyen-âge (Literature of the Middle Ages, 1962). The Complete Grammar of the English Language, written with Charles Cestre (1949) was the standard text for high school and college students for decades. She is well-known in the English-speaking world as the editor of bilingual dictionaries, prepared with a team of British and American collaborators for Larousse, which remain classics. They included The French-English Dictionary of Phrases and Verbal Expressions (1973). She also published novels, poetry, essays, short stories, and plays. Marguerite Marie Dubois is currently considered a "single author." If one or more works are by a distinct, homonymous authors, go ahead and split the author. Marguerite Marie Dubois is composed of 5 names. You can examine and separate out names.